SimpleRockets 2 | LAUNCH DAY! After more than two years of development, it's finally ready! 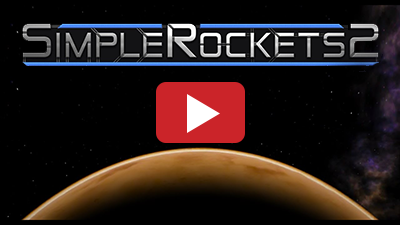 SimpleRockets 2 is now available on Steam for PC and Mac. The iOS and Android versions will be released next year. I hope you enjoy building those rockets, planes, rovers, doohickeys, and thingamajigs. Enjoy your successful launches and make sure you get video coverage of your failures. We really enjoyed building this game for all of you. It was by far the most challenging game we've made and it was an incredible learning experience for all of us. From our small, apartment "office" in Southern Illinois, we'd like to thank you for playing our games. We owe our jobs to you! From left to right: Nathan, Philip, William, Kevin, and Andrew. Taken at our extravagant apartment with awesome green carpet where we churn out code, art, and bugs all day. Thanks for reading! Now let's build some rockets! If you enjoy the game, then please consider giving SR2 a positive review on Steam. Those early reviews really help when a game is launching. Buy the looks of it , it has AWESOME graphics just like Brick Rigs and has the full potential of Kerbal Space Program! Loving this, so much potential.. I actually learned about SimpleRockets 2 from Scott Manley, who gave a very fair and positive review. Since purchasing it, I have utterly destroyed my personal productivity, and my wife is ready to divorce me. 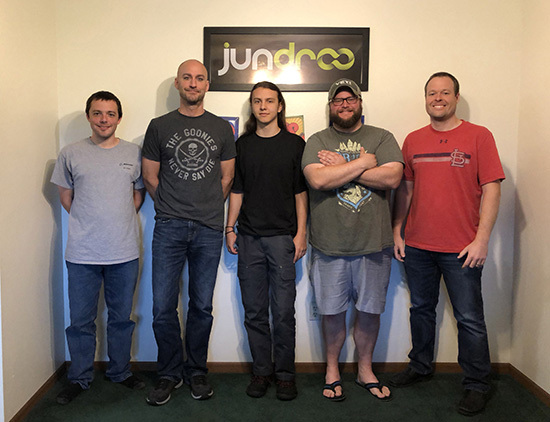 @CLIFFER I'm not someone from Jundroo, but Andrew said that development will be out on some weeks, but no work has been done yet. @AndrewGarrison Hey Andrew will you guys after releasing it add a planet that's like Pluto and has a moon just like Pluto's and they are both tidally locked to each other! And maybe not put the planet that far. Whats going to happen to the blog posts. Don't take this the wrong way, I AM SO EXCITED!!!!!!!!!!!!!! (Exclamation points go on)!!! @AndrewGarrison Это настолько шикарно, что щас ко мне прийдут кранты. I think, you can't translate this. A nice photo of you! @AndrewGarrison I want to thank you for this amazing game as well as simpleplanes! I'm glad the game is out, congrats to Jundroo for releasing the game. And lets aim for the stars! @MrTaco you gravatar is top quality too! @MyMessage I was referring to the in-flight camera inertia. The problem is when you drag the camera around with your mouse, it keeps on spinning/moving in the opposite direction you first dragged it, for way too long it almost makes you nauseous.